Today let’s talk about updating your bed! If you want a new look in your bedroom, but don’t want to spend a lot of money, there are simple things you can do to update the look. 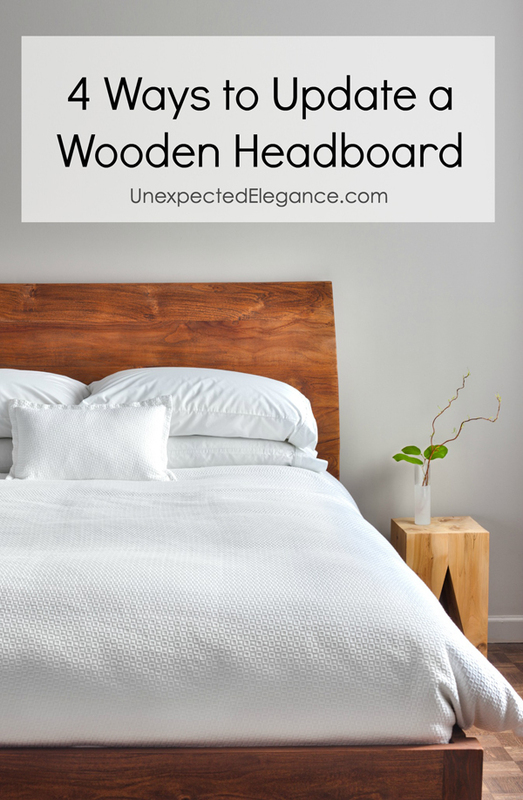 One great tip is to update your wooden headboard. This can be done in a variety of ways. You might upholster the headboard or even paint it. However you decide to update your wooden headboard, it can be an easy way to update the look of your bedroom. If you want a hands-on project that allows you feel like you’ve made a huge difference, this is the perfect suggestion. An upholstered headboard, especially one that has tufting, can add such a big impact to your bedroom. It can also be much more comfortable. The first thing you want to do is use a handsaw to remove any pieces that stick out from the headboard. Second, you want to wrap the headboard in thick batting. Cover in fabric and staple into place. It’s a lot easier than you might think, but creates an amazing look. If you want an easier option, you can also simply cover the headboard with a slipcover. You can purchase slipcovers for this purpose or you can sew your own. When you sew your own, you get the exact look you want because there are so many great fabrics to choose from. This is also a great way to update a wooden headboard that you don’t want to permanently alter. Another great tip that plays off the upholstery idea is to simply choose a portion of the headboard to upholster. Once you’ve upholstered the area, you can trim the outside with nail head trim, satin ribbon, or even rope. It all depends on the look you’re going for. The nail head trim is tacked into place while ribbon or rope can be attached with hot glue. Last, but not least, a simple, but very effective way to update a wooden headboard is to paint it. Don’t be afraid to choose something bold because you can always repaint it. The key is to sand the headboard and use a paint with a primer in it. This will cut down on the number of coats you need. 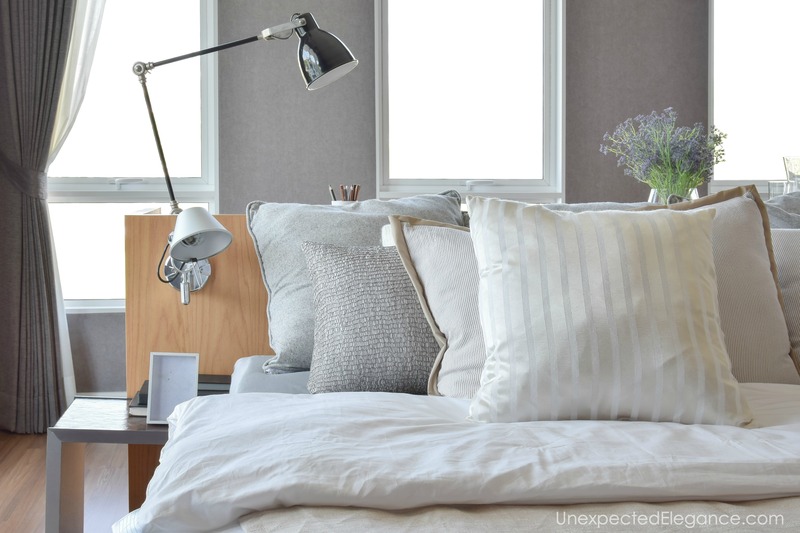 Updating your bedroom doesn’t have to be expensive. If you’ve got $50, you can update your headboard to turn it into something unique and beautiful. Whether you choose upholstery or paint, you can get the look you want without breaking the bank.